Tickets must be redeemed at the The Thiel Gallery entrance, please have your iVenture Card present. Collection Information Tickets must be redeemed at the The Thiel Gallery entrance, please have your iVenture Card present. he Thiel Gallery is a museum filled with turn-of-the-century Nordic art. 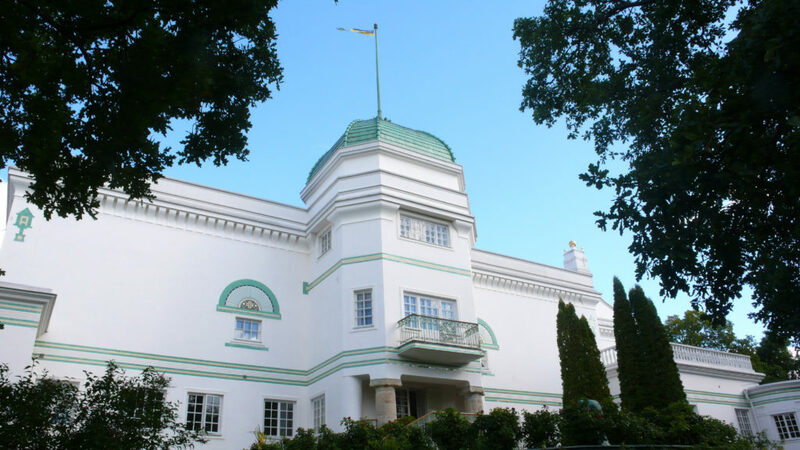 The building was created for the banker and art collector Ernest Thiel and his family, and stands on the Blockhusudden headland in the beautiful district of Djurgården. Symbolism and national romanticism are on display here in a contemporary setting, in the form of works by among others Anders Zorn, Bruno Liljefors, Carl Larsson and Edvard Munch. The park surrounding the Gallery contains sculptures by among others Auguste Rodin and Gustav Vigeland. Ernest Thiel’s urn is interred in rock beneath Rodin’s sculpture The Shadow. The gallery houses a unique collection of works of art from the late nineteenth and early twentieth centuries by leading artists of the period including Eugène Jansson, Carl Larsson, Bruno Liljefors, Edvard Munch, August Strindberg and Anders Zorn.The tower room is surely the heart of the gallery, containing Nietzsche’s death mask and prints by Edvard Munch- be sure to give this room a look!.